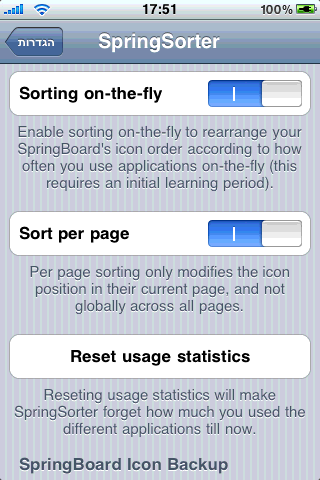 SpringSorter sorts your iPhone / iPod touch's SpringBoard icon layout by putting the most used applications on top. Rearrange your SpringBoard icons according to how much you use them. Allows you to sort icons per page, or globally across all pages. Protect pages you don't want to auto rearrange. Lock icons to prevent accidental reordering. Set a minimum amount of application usage before starting to move it. 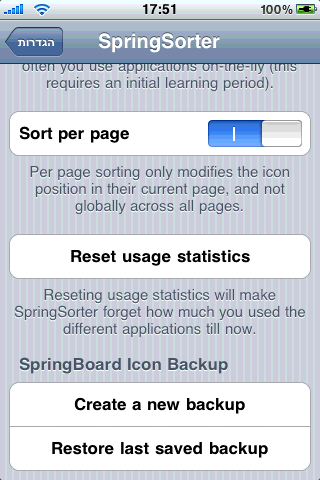 Create a backup of your SpringBoard icon layout and restore it. Manual or on-the-fly operating modes. 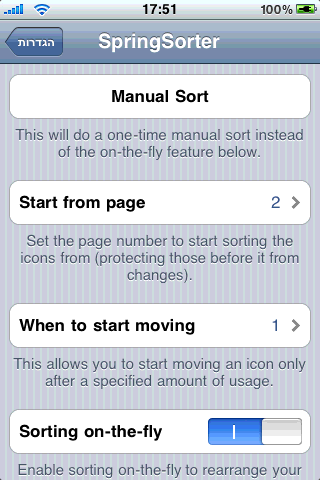 This program has no icon on SpringBoard, to set it up, open Settings, and scroll down to SpringSorter. 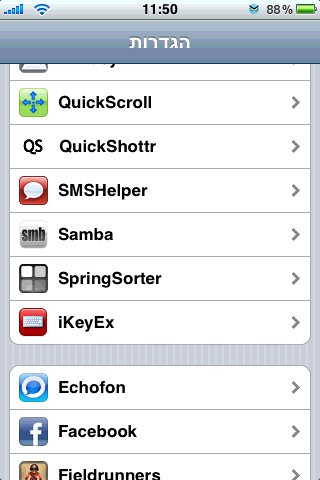 SpringSorter has been tested to work on all devices running firmware 3.0 till 3.2, including iPad!. 1.0.2 - Added iPad support. 1.0 - Bug fixes, Compatibility fixes, Performance fixes. 0.1-2 - Fixed the Reset Statistics issue. 0.1-1 - Added support for Spotlight.